The essential e-learning design manual, updated with the latest research, design principles, and examples§§e-Learning and the Science of Instruction is the ultimate handbook for evidence-based e-learning design. 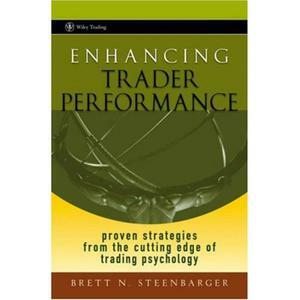 Since the first edition of this book, e-learning has grown to account for at least 40% of all training delivery media. However, digital courses often fail to reach their potential for learning effectiveness and efficiency. This guide provides research-based guidelines on how best to present content with text, graphics, and audio as well as the conditions under which those guidelines are most effective. This updated fourth edition describes the guidelines, psychology, and applications for ways to improve learning through personalization techniques, coherence, animations, and a new chapter on evidence-based game design. The chapter on the Cognitive Theory of Multimedia Learning introduces three forms of cognitive load which are revisited throughout each chapter as the psychological basis for chapter principles. A new chapter on engagement in learning lays the groundwork for in-depth reviews of how to leverage worked examples, practice, online collaboration, and learner control to optimize learning. 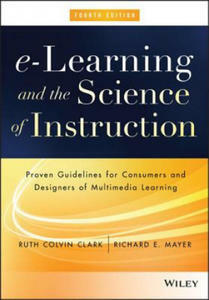 The updated instructor's materials include a syllabus, assignments, storyboard projects, and test items that you can adapt to your own course schedule and students.§§Co-authored by the most productive instructional research scientist in the world, Dr. Richard E. Mayer, this book distills copious e-learning research into a practical manual for improving learning through optimal design and delivery.§Get up to date on the latest e-learning research§Adopt best practices for communicating information effectively§Use evidence-based techniques to engage your learners§Replace popular instructional ideas, such as learning styles with evidence-based guidelines§Apply evidence-based design techniques to optimize learning games§§e-Learning continues to grow as an alternative or adjunct to the classroom, and correspondingly, has become a focus among researchers in learning-related fields. New findings from research laboratories can inform the design and development of e-learning. However, much of this research published in technical journals is inaccessible to those who actually design e-learning material. By collecting the latest evidence into a single volume and translating the theoretical into the practical, e-Learning and the Science of Instruction has become an essential resource for consumers and designers of multimedia learning. Have you ever left a class or training program excited about what you learned, only to realize a month later that you have applied little of it back on the job? As a training manager have you ever invested significant dollars and resources to carefully design and deploy a training program only to see little or no shift in individual behavior or culture afterwards? Even when your students passed the knowledge tests and you are certain learning occurred? As learning professionals, we often focus on the easy goal--imparting knowledge--and ignoring what it really takes to create lasting change. Creating a lasting impact on people and organizations requires much more than knowledge transfer. Lasting change occurs when learners practice and perfect what they have learned back on the job, building real skills instead of acquiring factual information, and, most difficult of all, changing habits so those new skills are applied consistently for real business results and bad habits are killed off. Today there is little time in class to practice skills to a minimal level of proficiency, let alone achieve outstanding performance. Learners focus their attention back to their job and forget what they learned, despite all good intentions. Post-training reinforcement has been difficult and labor intensive. Traditional action learning can be effective but the resources needed to do it properly are not always available for every training effort. In today's world, instructors and managers don't have the time to monitor key objectives once students leave the classroom (or the learning management system). The follow-up to monitor cohort teams and schedule discussions can overwhelm instructors or training organizations. Sound familiar? The good news is that #SUCCESSFUL CORPORATE LEARNING tweet Book10: Making Learning Stick: Transforming Knowledge into Performance is full of simple research-based techniques you can use to make training stick. Ways to activate knowledge, improve retention, and extend skill practice. Techniques to shape behavior change when students leave the classroom and go back to work. And the most exciting part is that emerging web and mobile technologies can be used today to extend your reach, and help you to reinforce learning, promote retention, build better habits, and create lasting success. #SUCCESSFUL CORPORATE LEARNING tweet Book10 is part of the THiNKaha series whose slim and handy books contain 140 well-thought-out quotes (tweets/ahas). The speed of data collection, an increase in the volume and complexity of data, the pressure to be innovative and adaptable, and the need to learn and share across geographic and corporate boundaries are just a few of the factors that make managing knowledge central to any organization's success today. Knowledge creates the capacity for effective action, and making that knowledge flow in a way that supports organizational learning is a key component, perhaps the most vital asset, for a learning organization. Knowledge management (KM) as a discipline is often misunderstood. To help illuminate this field, KM expert, Michael Prevou, and corporate veteran, Mitchell Levy, condense input from top KM practitioners to provide the best practice advice that will help today's corporate leader understand KM in a clear, structured, and relevant manner. Cutting straight through the confusion, this hard-hitting book provides just what you need to know to understand what KM is and is not, why it is important, how to design your KM strategy, and get started with your organization's KM program. Michael is one of the most innovative and experienced knowledge management practitioners in the country. In #SUCCESSFUL CORPORATE LEARNING tweet Book05: Everything You Need to Know about Knowledge Management in Practice in 140 Characters or Less, he draws on that unique experience to bring you the most relevant and cutting-edge developments in the field. While working with the U.S. Army, he co-founded the Army's lead agency on knowledge management and established and grew a nested network of over 60 communities. These communities have grown to over 250,000 active members and have saved the military time, money, and lives. His unique experiences implementing real KM in action along with his background in educational psychology partner for a powerful combination of expertise that can help any company implement a successful KM program targeted to their specific needs. In this book, he teams up with Mitchell to show that KM should be a deliberate and continuous strategy to get the right knowledge to the right people at the right time, helping people share and put knowledge into action in ways that visibly improve individual and organizational performance. #SUCCESSFUL CORPORATE LEARNING tweet Book05: Everything You Need to Know about Knowledge Management in Practice in 140 Characters or Less is part of the THiNKaha series whose slim and handy books contain 140 well-thought-out quotes (tweets/ahas). The classic teaching toolbox, updated with new research and ideas§§Teaching at Its Best is the bestselling, research-based toolbox for college instructors at any level, in any higher education setting. Packed with practical guidance, proven techniques, and expert perspectives, this book helps instructors improve student learning both face-to-face and online. This new fourth edition features five new chapters on building critical thinking into course design, creating a welcoming classroom environment, helping students learn how to learn, giving and receiving feedback, and teaching in multiple modes, along with the latest research and new questions to facilitate faculty discussion. Topics include new coverage of the flipped classroom, cutting-edge technologies, self-regulated learning, the mental processes involved in learning and memory, and more, in the accessible format and easy-to-understand style that has made this book a much-valued resource among college faculty.§§Good instructors are always looking for ways to improve student learning. With college classrooms becoming increasingly varied by age, ability, and experience, the need for fresh ideas and techniques has never been greater. This book provides a wealth of research-backed practices that apply across the board.§Teach students practical, real-world problem solving§Interpret student ratings accurately§Boost motivation and help students understand how they learn§Explore alternative techniques, formats, activities, and exercises§§Given the ever-growing body of research on student learning, faculty now have many more choices of effective teaching strategies than they used to have, along with many more ways to achieve excellence in the classroom. Teaching at Its Best is an invaluable toolbox for refreshing your approach, and providing the exceptional education your students deserve. If you've ever gestured wildly with your hands in order to coax a word from your memory, or if you've sat up straighter in a meeting to feel more confident and alert, then you already know some of the ways the body can make an impact on the mind. But what if that's just the tip of the iceberg? Recent research shows that the extent to which the body affects the brain is greater than we'd ever imagined. Now How the Body Knows Its Mind reveals extraordinary ways you can use your body to improve your mind and performance in all areas of life. We often think of the brain as the master control centre - interpreting experiences, deciding what to do, and pulling the levers of the body. Sian Beilock, a leading expert on the brain science behind human performance and professor in the psychology department at the University of Chicago, turns our understanding of the mind upside down in How the Body Knows Its Mind. Your brain doesn't make that much of a distinction between what happens in your body and what happens in your mind. In fact, our bodies actually hack our brains. The way we move affects our thoughts, our decisions, and our preferences, and kids absorb more when they use their bodies as a learning tool. Called "embodied cognition," this new science illuminates the power of the body and its physical surroundings to shape how we think, feel, and behave: pacing around the room can enhance creativity; walking in nature boosts concentration skills; Botox users experience less depression; fit children score higher on tests in school. From the tricks used by advertisers to the ways body language can improve your memory to how to master public speaking, Beilock explains a wealth of fascinating interconnections between mind and body and shows how mastering them can make you happier, safer, and more successful. Hypnosis for pain management is not a newly invented therapy or clinical application, but in fact has been employed with great success for more than two centuries. The use of hypnosis as a tool for relieving pain is not experimental - it is in fact tried, true, and proven. This book focuses on your role in being your own healer and looks at ways to improve your relationship with yourself. It will help you explore a wide range of hypnotic and self- hypnosis techniques for helping you to improve your ability to cope with and manage discomfort so that you can live more comfortably. You will learn how to: use self-hypnosis to relieve your pain; tap into your own innate ability to control pain; interrupt your body's chronic pain loop; choose the method of self-hypnosis best suited to you; and, use a variety of powerful tools to reduce or eliminate your pain now!When you've had pain that hasn't responded to treatment for a long time, it's natural to become disillusioned and expect nothing to work. This book provides a fresh look at the problem of managing persistent, physical pain using the tool of self-hypnosis, and this new approach comes from an experienced hypnosis clinician and clinical psychologist who is a pain sufferer himself. It includes a free pain relief audio CD. The author leads the listener through a series of mindful exercises that teach gentle and safe ways to manage and relieve chronic pain. It is designed to expand and improve your ability to control and cope with pain and diminish suffering with repeated listening to the CD over a period of days. The informative and pleasant suggestions are easy to follow, and the soothing and relaxing background music helps to further your experience of relaxation and comfort. For nearly 5,000 years, people have practiced T'ai Chi as a way to prolong life, build strength and stamina, improve concentration, and achieve psychological balance. Hundreds of millions of satisfied customers can't be wrong. 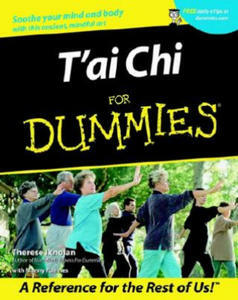 Whether you already dabble in T'ai Chi and would like to get a deeper understanding of the basics, or you're only thinking about trying it and want to find out more before you take the plunge, T'ai Chi For Dummies is for you. In plain English, Therese Iknoian and Manny Fuentes demystify T'ai Chi principles and practices for Westerners. They unravel exotic sounding terms and concepts and break down movements in ways that more traditional instructors and authors either can't or won't. And with the help of crystal-clear illustrations and step-by-step instructions, they get you on track with a T'ai Chi fitness program guaranteed to help you:* Increase balance and flexibility* Combat fatigue and reduce stress* Tone muscles* Unlock your power centers and boost energy* Improve focus and concentration* Breathe "mindfully" and meditate* Enhance your sense of inner peace and well-being Discover just how easy it can be to make T'ai Chi and its sister discipline Qigong part of your everyday life. With this friendly reference as your guide you'll quickly master the basic movements and forms, as well as:* T'ai Chi's Yang 24-Movement Form* Qigong and Push Hands techniques* Techniques that help speed recovery from specific injuries* T'ai Chi movements for aerobic exerciseExercise is good for the body and soul. Now let Therese Iknoian and Manny Fuentes show you how to energize, find inner peace, and tone your muscles with the gentle art of T'ai Chi. Colour your way to better focus! Colouring books ...for grown-ups! Remember the long hours spent coluoring in the lines of your most-cherished colouring books, full box of crayons within reach, the demanding adult world tuned out? Secretly long for an excuse to retreat back into that world? Now you can. Find your inner artist and colour your way to better focus! Whether to tune out the chaotic bustle of daily life or to reduce stress and promote greater self-awareness and concentration, the art of mindfulness has been used as a tool in Buddhist culture for centuries. Now you can employ this tried and tested technique in a fun and handy format, with Art for Mindfulness. From the makers of Colour Yourself Smart, the revolutionary series designed to improve memory and make learning easier through coluoring, comes the beautiful and fun new series Art for Mindfulness! The focused attention of colouring and doodling has been proven to greatly increase your concentration and focus, root you in the present, unlock your creativity, and help you de-stress by focusing on a simple and enjoyable task. It's the adult excuse to reclaim your childhood love of colouring books!